I've already said it numerous times before. But in case you never read my previous blog posts, let me state it again. 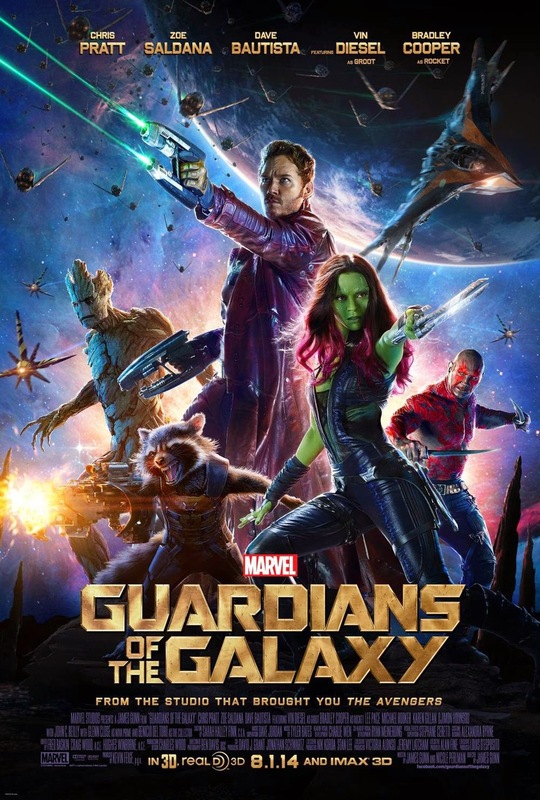 Guardians of the Galaxy is one of the movies that I desperately want to see this year. I've watched all the trailers, monitored the news, searched information, and became infatuated with its Director, James Gunn. >///<. Ha ha ha. Now that I'm finally watched the movie, did it live up to my high expectation? Read my review below! Overall, I really like this movie. The music is great. The visual is great. The acting is good. The story is simple but interaction between the characters make it interesting. I love the dynamic when Star-Lord, Rocket, Groot, and Gamora first meet and try to catch each other. I also love the third act. Really hilarious. He he he. But honestly, I think James Gunn could be more creative in creating this Marvel Cosmic universe. Particularly the design of the inhabitants. I also had issue with the pace of this movie. It's too fast, I end up want this movie to be longer. It's a little bit overstuffed for a 2 hour movie so I wish there were more backstory. In the end, I recommend you to watch it in the cinema. Have you seen it? Comment below and let me know what you think!